Another recipe from J’s mom. Although these are translated as gingerbread, they don’t actually contain any ginger! But the result tastes similar to the German gingerbread / Christmas cookies that they sell in the shops. 1 egg, separated into yolk and white –> beat the yolk and filter the egg white through a strainer. Set aside. Melt the butter in a pan and stir in the honey. Mix in the other ingredients until it forms a dough. Leave the dough in a cold place for 24 hours for the flavours to blend. Cut into desired shapes and put into a 180 degrees Celsisus oven. When they have become hot in the oven, remove them briefly and brush with a beaten egg yolk. Return to the oven and cook for approximately 8 minutes. Leave to cool. Mix the filtered egg white with lemon juice, add the cornstarch and powdered sugar, and beat together until it is white, shiny and thick. The exact amount of powdered sugar will vary depending on the size of the egg. 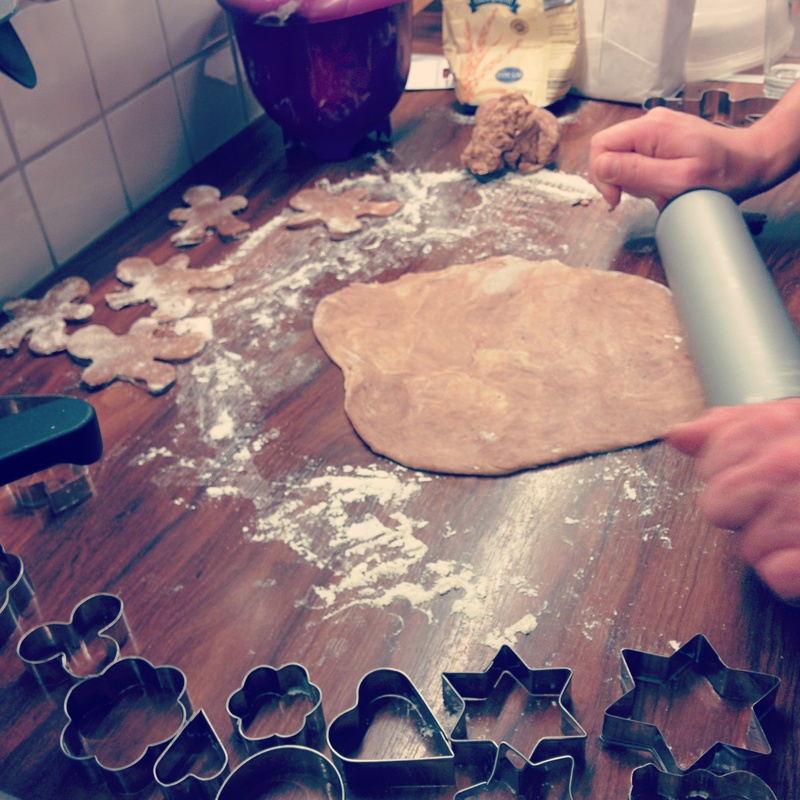 Use a piping bag to pipe decorations onto the gingerbread.